Technology is undeniably a big part of the world we live in today. From smartphones and social media to video streaming, technology has redefined the content we are exposed to and how we engage with it. With a large chunk of our days spent online, it comes as no surprise that many museums have begun to use social media and digital platforms to draw in audiences. This does not mean museums should stop trying to create an engaging in-person visitor experience; instead, it asks museums to extend the experience to the digital world with tools like the live stream. But before you hit the record button, we have come up with a few ideas on how your museum can leverage the power of the live stream! Live streams allow museums to showcase content online in real-time and enables institutions to share on-site events with a larger audience. With the ability to present remote viewers with a taste of what an institution has to offer, museums can reach a larger audience and entice potential visitors. Social media platforms like Facebook and Instagram have even begun offering live stream features that allow users to stream content directly to their followers. Sharing video content on social media platforms like Facebook Live also provides the ability to comment and respond to content in real-time. The ability to respond to content creates the opportunity for viewers to tackle relevant issues that can even extend outside of the museum space. With the ability to share live stream content on Facebook, Instagram, and YouTube, these social media platforms have proven to be a great way for museums to reach a wide and diverse audience. Live streaming also allows museums to provide educational and entertaining content, like going behind the scenes of a big exhibition, a speaker series, or gallery tours that viewers can enjoy from anywhere. Some museums have even started using Facebook Live to make exhibits more accessible. For example, the Met recently used Facebook Live to provide hearing impaired visitors with an ASL tour of their Rodin exhibit! Let’s take a look at how other museums have used live stream to provide accessible, educational, and engaging content. Back in 2017, five different versions of Van Gogh’s “Sunflowers” were reunited for the first time, a feat made possible by Facebook Live. Each version of the iconic painting is housed at a different museum around the world, and the live stream allowed viewers to see all five versions of the painting in real-time. Curators from each of the five museums also had 15 minutes to explain the significance of their version of the painting. The National Museums Scotland started exploring live stream content in 2016 with the goal of sharing additional information about their major exhibit, Celts. After finding that these live stream videos had impressive reach, the museum started to live stream content on a more regular basis. As of August 2017, the museum had gone live 36 times. According to their provided statistics, these 36 live streams featured 25 speakers from across the museum and garnered 120,348 total views, 24,308 total post clicks, and a total reach of 966,751 people. While those statistics are impressive, they also speak to how the museum used live stream as a tool to reach a larger and more diverse audience. When The Getty went live for the first time in 2016, the live stream wasn’t exactly planned. The live stream was a last minute suggestion by a Getty intern to broadcast the museum’s annual college night. The live stream was short, but it reached more than 30,000 Facebook feeds and generated almost 300 reactions, comments, and shares. This reach inspired Adrienne Luce, who works on Digital Engagement for the Getty, to regularly post live stream content. The museum has since live-streamed many different events like gallery tours, Q&A’s with curators, and behind the scenes of different departments around the museum. The Museum of Fine Arts, Boston shared their first live stream video on Facebook Live in September 2016. Since then they have shared live streams that feature content like gallery tours with curators, behind the scenes of upcoming exhibits, and public programs. 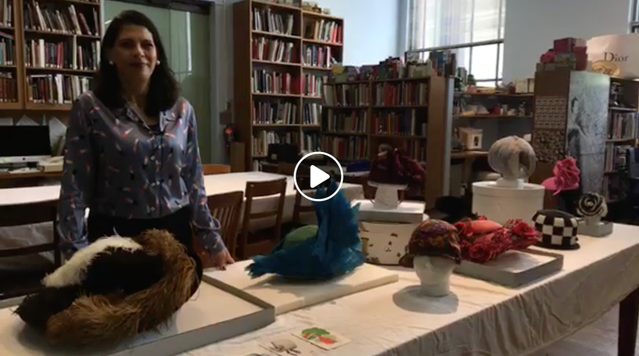 The museum even recently shared a live stream with fashion curator Michelle Finamore to give viewers the inside scoop on the history of hats before the Royal Wedding! The American Museum of Natural History started posting short, informal Facebook Live videos back in 2016. However, recognizing the potential to start a series of these educational and engaging videos, the museum has since created a YouTube channel (that now has over 150,000 subscribers!) where all live stream videos are available for viewers to watch. This points to a growing trend for museums to use both live stream tools like Facebook Live, and video streaming platforms like YouTube to create engaging content that viewers can access from anywhere. 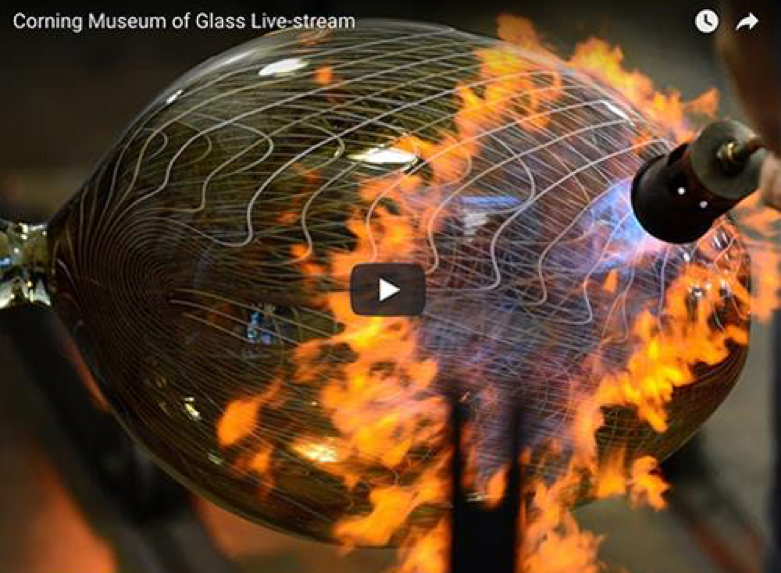 The Corning Museum of Glass has made live streams part of their public programing. The museum regularly live streams gallery tours, speaker series, and artist demonstrations. The events are live streamed on Facebook, and then the video is added to the museum’s YouTube channel so viewers can catch up on past live streams and videos. Museum of the Rockies in Bozeman, Montana. North Carolina Museum of History in Raleigh, North Carolina. Pima Air and Space Museum in Pima, Arizona. Columbus Museum of Art in Columbus, Ohio. While this is not an exhaustive list, these institutions serve as examples of how museums can leverage livestream and video content to engage members beyond the walls of their institution and perhaps beyond their traditional visitor base! Live streams and social media are all part of an increasing trend towards broadcasting our lives online. While technology’s role in the museum space is still evolving, it is certainly a tool that has proven to be incredibly useful. Live streaming content also allows museums to provide their viewers with a wide range of engaging and educational content from anywhere. By utilizing live streams and social media, museums have the opportunity to reach a wider audience and start the conversation about big picture issues beyond the physical walls of their institution! Interested in learning more? Check out these additional links! Interested in learning how your museum can leverage mobile engagement tools? Click here to schedule a free consultation with a Cuseum expert!